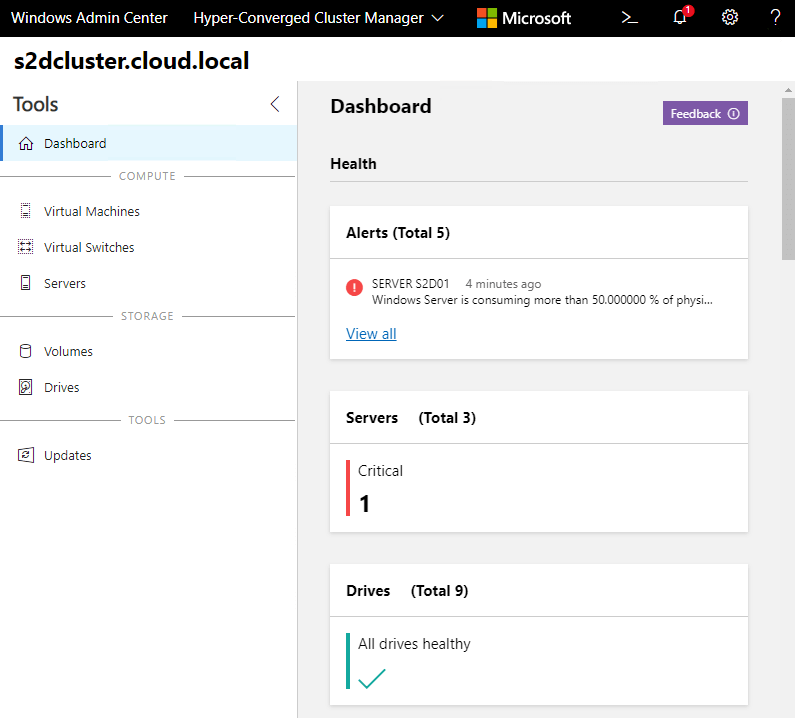 Microsoft unveiled a new tool that is set to change the way Windows Server engineers interface, configure, interact with, and administer Windows Servers, Windows Failover Clusters, and Hyperconverged clusters. Microsoft has seen the writing on the wall with new versions of Windows Server as well as the shift to the cloud, administrators need a better tool to be able to take care of the tasks at hand with modern infrastructure that stretches between on-premises and public cloud environments. 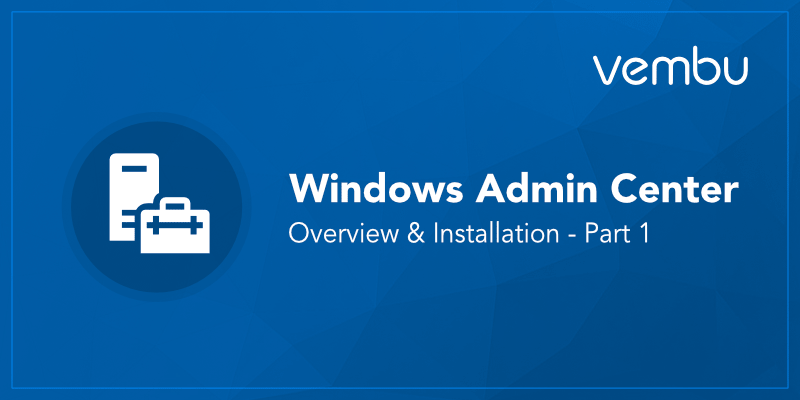 They have delivered with a new tool that is set to become the de facto GUI administration tool for Windows Server versions to come – Windows Admin Center. 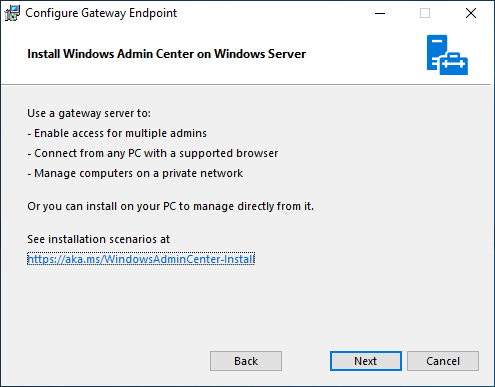 In this Windows Admin Center overview and installation post, we will take a closer look at the tool as well as features and functionality included giving administrators an all-compassing utility to manage Windows Server infrastructure both on-premises and in the cloud. 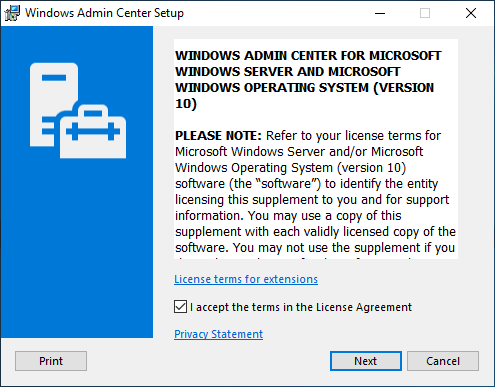 Windows Admin Center provides tremendous value to administrators. It started life as Project Honolulu before it was properly named Windows Admin Center and is what Microsoft calls the “evolution” of Windows Server in-box management tools. 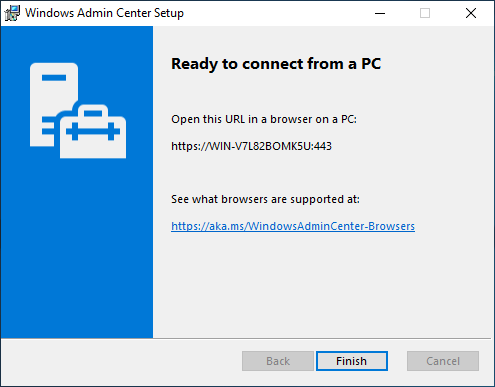 It is a free utility available from Microsoft that is available to download at the official Windows Admin Center page here. At the time of this writing, it is available in version 1809.51 in GA form and also version 1902 in Preview. 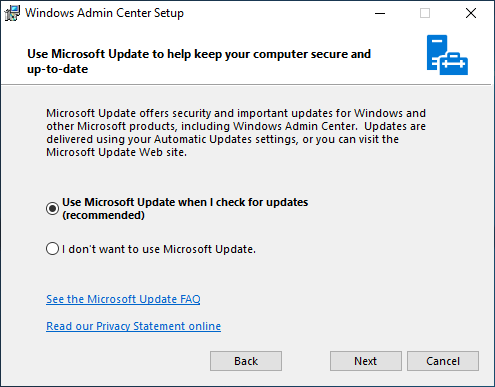 While Windows Admin Center is not included by default in current Windows Server versions, you can tell that Microsoft is pushing the use of Windows Admin Center. 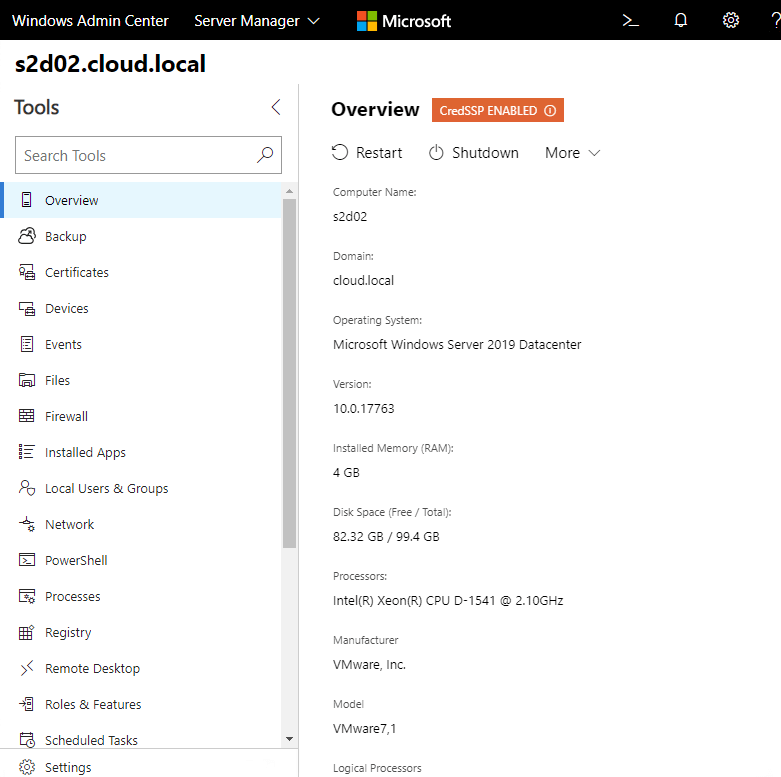 When you launch the legacy “Server Manager” in Windows Server 2019, you will see a message box pop up recommending you try the new Windows Admin Center for server management. It provides a single pane of glass management interface that helps administrators to consolidate their view of the Windows Server landscape in their environments. The look and feel of Windows Admin Center are very modern, clean, and intuitive with a very comfortable layout of modules and available actions. This stands in contrast to Server Manager which can be clumsy to maneuver and navigate. Windows Admin Center is a departure from the standard “fat” application that is loaded on a Windows Server system. It is a browser-based tool that can be loaded not only on Windows Servers but also Windows 10 clients as well. Additionally, it can also run on Server Core systems as well. It, however, does not require Internet connectivity or an Azure account. In Desktop Mode, the Windows Admin Center is locally installed on the same computer from which you are accessing it. 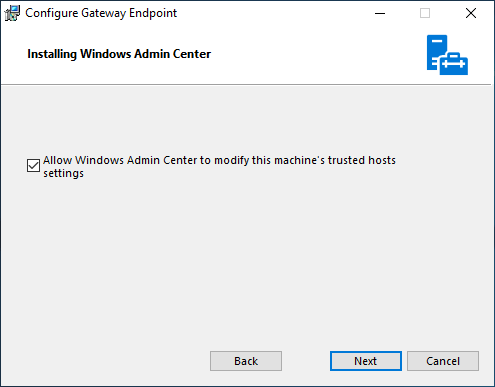 In Gateway Mode, Windows Admin Center is installed on a supported Windows Server version and can be accessed remotely from a client browser on a different machine. Access roles can be assigned in the Gateway mode for appropriate permissions. There are two roles for access to the gateway service: gateway users and gateway administrators. Additionally, role-based access control or RBAC can be used in WAC to provide users with limited access to the machine instead of making them full local administrators. 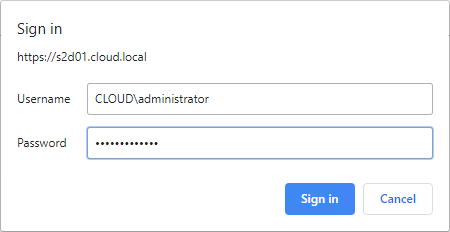 This works in conjunction with configured each managed server with a JEA or “Just Enough Administration” endpoint. 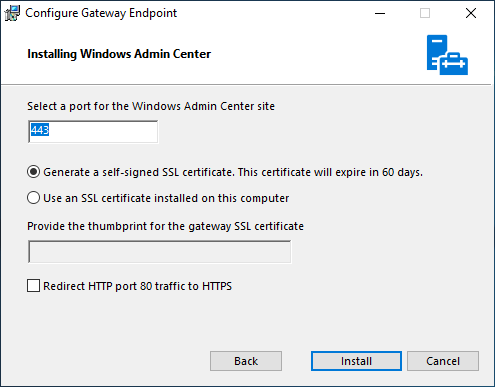 By default, when installed on Windows 10, Windows Admin Center uses port 6516 by default. However, this can be changed. When installed on supported Windows Server operating systems, Windows Admin Center is installed as a network service. A port will need to be specified for listening as well as an HTTPS certificate is required. Self-signed certificates can be used for this purpose, however, all the same certificate best practices apply here and are required including subject name matching the server name, etc. Installation using the GUI MSI installer is very straightforward. It is very much a “next, next, finish” process. Windows Admin Center is the next step forward for Microsoft and server administration. It provides a clean, modern look and feels for Windows Server and cluster administration. It is a huge step forward when compared to Server Manager and other more legacy tools that we have grown accustomed to. Third-party vendors are also able to extend its capabilities which has already led to some pretty incredible extensions available from various vendors for WAC. Considering this is a free download from Microsoft and it is able to manage many different types of servers, it is a great tool to start today in managing Windows Servers from in various environments. With the single pane of glass view of the Windows Server and cluster landscape, it allows a centralized management plane for configuring, managing and troubleshooting Windows Server moving forward.